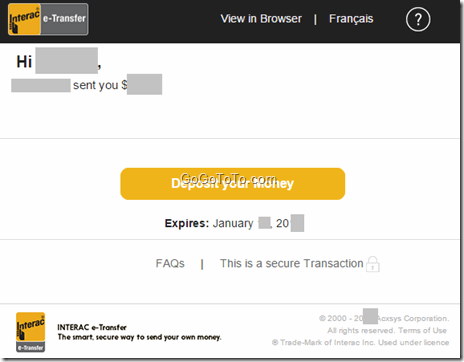 Here we just give an money receiving example which is from TD Bank’s Interac e-Transfer. 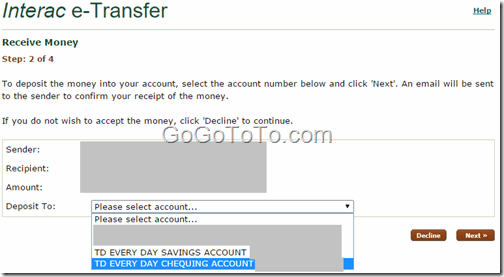 For money sender: You have to register e-Transfer in your account first. 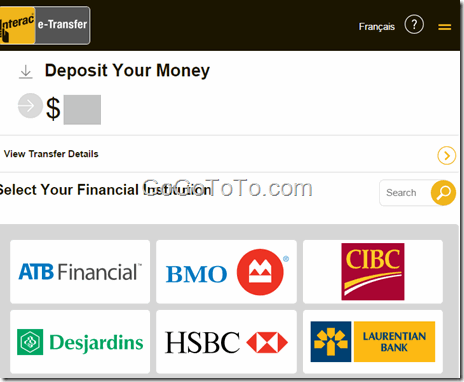 3: We selected TD bank to deposit. 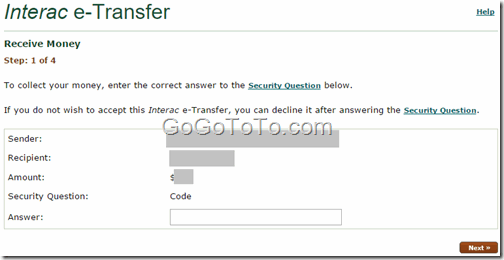 so login TD bank, and then you will see 4 e-Transfer steps, the following is the step 1, which asks you confirm information, and input the password which sender told you by other way: phone calling or another email or any other way, this password never came to you with the Interac e-Transfer notification email which you received at beginning, it is for security. After above steps, your money has already received and deposited to your bank account, the entire money transfer using email done. Sometimes, you will meet issue which is about wrong password, transfer is locked … some different reasons. Actually if you did try multiple times, the transaction still not work, then you will have to call TD bank customer service. they will resolve the issue for you.